Fast track a few years back, no one really knew anything about online gaming (Well maybe online poker). However, after the emergence of new slot sites, the term ‘social gaming’ really came to the fore. To many, their idea of social gaming meant playing Farmville, the most popular and perhaps top grossing social game on the social scene. However, that’s not really what social gaming is. In order to get a better understanding of what the concept is all about, you may want to keep on reading. In its simplest definition, social gaming refers to games in which multiple players are connected to network at the same time such as online bingo. From this definition, one thing can be deduced and that is players need to have an active internet connection as it is the only thing that allows you to play a game in real time. 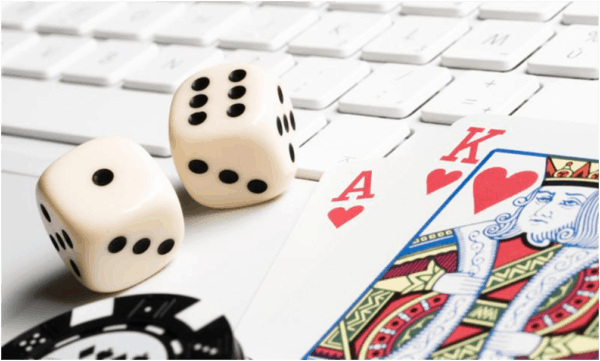 Online Gambling is considered a “social game” when played in the format of bingo or online poker. Apart from this, the above definition also gives us the impression that any game can be a social game as long as it allows a number of players to play competitively against each other all at the same time. In essence, this means that card games, table games, board games and video games among others, can all be deemed as social games as long as they support the multiplayer function. When it comes to social gaming, there is one important element that has to exist and that is social platforms. It is through social media platforms such as Facebook, Instagram and Twitter, that many people are able to access social games such as Farmville, Bubble Safari Ocean and Ruby Blast Adventures among many others. Another key thing to note when it comes to social games is that they are not really played by professionals, but rather by amateur players who are simply looking to play casually. This is the reason why you may receive requests from your friend or family member to help them raise livestock or grow corn on the Farmville Farm. You should note that, although amateur players make up the majority of social players, there are also a small minority of pro players who may engage with social games at one in time or the other. Farmville easily ranks as one of the most popular social games of all time, but it is now closely followed by City Ville and Zynga Poker and Texas Hold’em. All of these social games come from a single game provider i.e. Zynga. Apart from Zynga, there are also other game developers that provide top social games available on different social media platforms including the Social Gaming Network that created the War book game, Kongregate that developed the Bullet Boy game as well as the AdVenture Capitalist game, and Gaia Online that brought us zOMG. It is clear that as long as social media platforms and the internet exist, so will the longevity of social games. They are here to stay and we can look forward to many new titles in the near future.